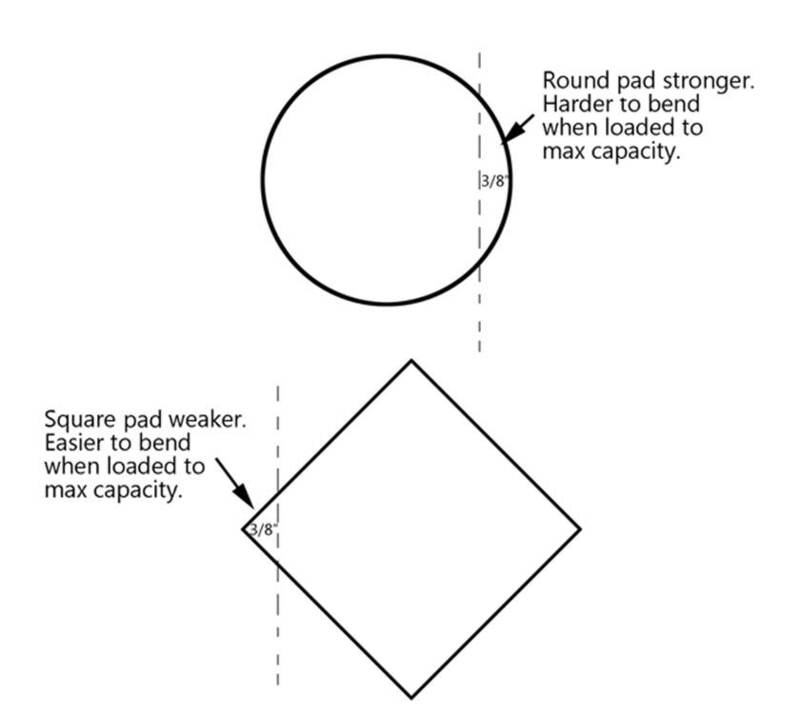 All BendPak 2 post lifts are now shipping with ROUND lift pads. New Part number below is for replacement slip over pads. No more square pads. Too hard to pass newer structural standards.